So there you are having created the most amazing piece of design/craft/decorative art and the only person who knows it exists is you. How do you launch it to the big wide world? Well why don't you come along to Creative Hook Up on 1st September where I'll be speaking about how to market and PR a small creative business. Drawing on all my experience from devising and running Jessica Light Trims And Tassels I'll talk about how I go about getting attention for what I do from a wider audience other than the cat. 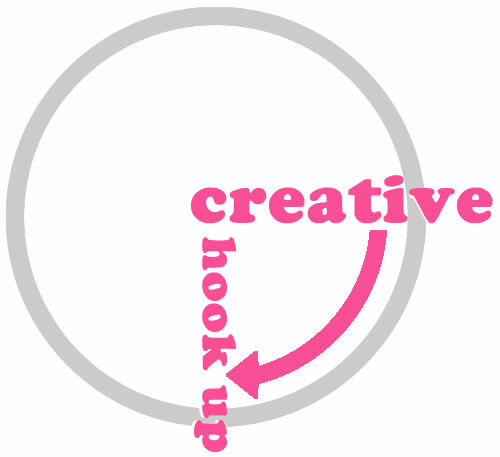 Creative Hook Up, the brainchild of Laura Austin, is a networking event with a difference and best described in her own words. "Geared towards creative people not strictly “creative” by job title but also by nature, the Creative Hook Up event brings people together who have different expertise, skills, and ideas, and who could gain inspiration by talking to (and hearing from) like-minded (or un-like-minded) people from a myriad of backgrounds. A friendly place to make new connections, look for advice, gain insights, learn, feel inspired, energised and better connected with the world. "